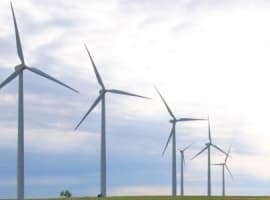 Wind energy in Europe is expanding, but it is not expanding evenly across the continent, a new report from Wind Europe has revealed. During the first half of the year, there were a total 4.4 GW in new additions, with 3.3 GW of these onshore and the rest offshore. Aside from the fact that this figure was 1.7 GW lower than the new wind farm additions for the first half of 2017, which was expected, the wind energy association seems concerned that in offshore installations the UK was the runaway leader with 911 MW installed during the first half. Belgium was a distant second with 175 MW, and Denmark an even more distant third with 28 MW. “In offshore wind, Europe is too dependent on the UK, which is striding ahead in current installations and in committing to future volumes. By contrast, the rate of new installations has slowed down in Germany. Other countries also need to beef up and speed up their plans on offshore wind,” WindEurope’s CEO Pierre Tardieu said, commenting on the report. The concept that all European countries should strive for a more even share in total wind power capacity is a little eccentric: not all European countries have the kind—and the length—of coastline the UK has, which has been instrumental in its advance as a top offshore wind performer in Europe. There is also the question of individual priorities among European countries when it comes to renewable energy. Germany is a case in point: it was the leader in new onshore wind farm additions, with 1.626 GW added during the first half of the year. Yet at the same time, it added fewer offshore wind farms than the same time last year. According to Tardieu, this has to change. This attitude that requires constant growth in both onshore and offshore wind installations is, once again, a little eccentric. After all, while renewable power is, as the name clearly suggests, non-finite, the space where renewable power installations can be assembled is very finite, and with wind there are considerations such as proximity to populated areas because of the noise issue. But the uneven pace of new wind farms is not the only concern of Tardieu. The chief executive is also worried about the tardiness of Germany’s government in confirming tenders for new wind power additions to the tune of 4 GW for 2019 and 2020. “This visibility is key to the supply chain and to keep wind energy jobs and growth in Europe. 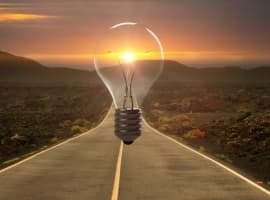 Investments in manufacturing, skills and R&D only happen when governments give long-term visibility to the supply chain,” Tardieu said, noting that this visibility will be among the tools that will help Europe meet its stated target of generating 32 percent of its energy from renewable resources by 2030 and not just meet it, but do it cost effectively. The European Union agreed last month to work for expanding the share of renewables in its energy mix to 32 percent from a more modest target of 27 percent tabled in 2016. 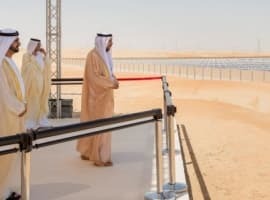 The new target reflected the falling costs and growing competitiveness of renewables, Wind Energy reported at the time. Perhaps in this context of falling costs it is indeed worrying that new wind installations in a market such as Germany are slowing down: two industry groups said the new onshore additions for H1 2018 were down 29 percent on the year. That’s again because of the lack of certainty the government will tender all the new capacity planned as part of EU-wide efforts to expand renewables. Some believe the EU renewables target is too ambitious. Perhaps a slight consolation could come from the fact that wind additions have been on the rise in non-EU countries in the region as well: Turkey added 141 MW in the first half of the year, for example, ranking fourth on the onshore list of additions, ahead of Sweden, Spain, and Norway. All new wind farms should be good for the climate change fight, after all.